The other evening I was browsing through old books and periodicals when I stumbled across an article on Almack’s in “The Illustrated London News,” 1843. The text was hopelessly blurred and had run off the edge of the scanner. I lowered my screen resolution, squinted at my monitor and tried to transcribe some of the article, putting question marks where the text was lopped off. The plan of the establishment [Almack’s] is briefly as follows. To the left of the entrance-hall is a spacious supper-room, with orchestra-gallery, &c; it is tastefully decorated and to give stability to the dancing salon above, are several supports, in the picturesque forms of palm-trees. 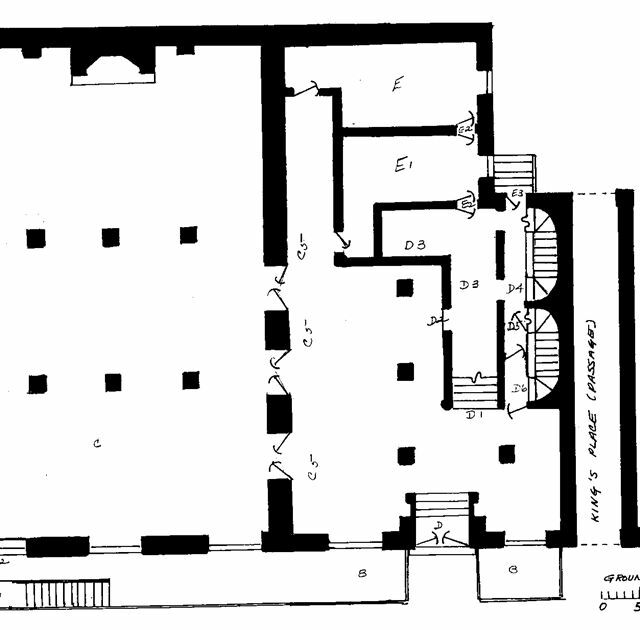 From the hall, you ascend by a handsome stone staircase to the suite of rooms, four in number, an anti-room, tea-room, and the ball-room, to the right of which is a large card-room. The ball-room is one of the most spacious salons in the metropolis, its dimensions being about 100 feet in length, ? feet in width; it is chastely coloured – white and straw, relieve ? and medallions of classic design; the draperies are blue ? and the vast apartment, when fully illuminated (with 500 wax lights) has a most brilliant appearance. The greatest number of persons ever present in this room upon one occasion ? at 1700. Curiouser and curiouser. What did Almack’s really look like? Almack’s large ball-room is about one hundred feet in length, by forty feet in width; it is chastely decorated with gilt columns and pilasters, classic medallions, mirrors, etc., and is lit with gas, in cut-glass lustres. 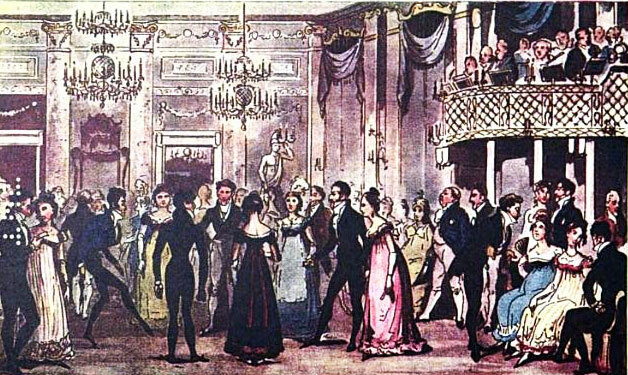 The largest number of persons ever present in this room at one ball was 1700. There are two sources of information about the interior, one being the view of ‘The Ball Room, Willis’s Rooms in Old and New London, and the other being Cruikshank’s lively illustration in Life in London (1821). 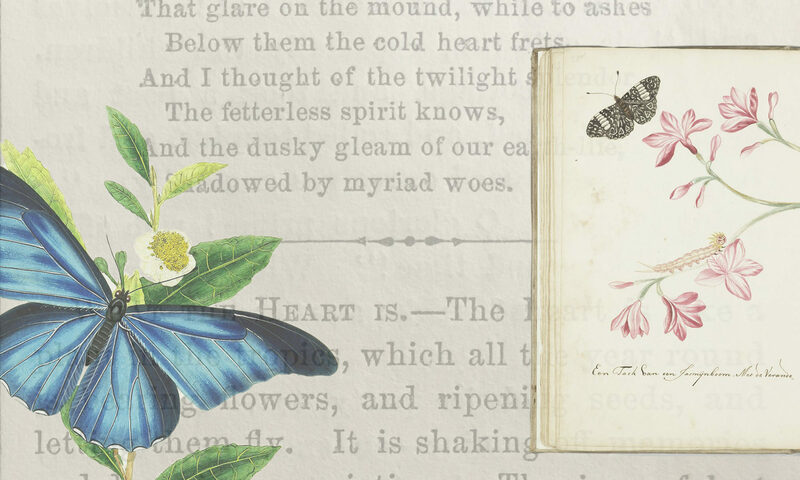 Different as they are in spirit, the two representations are not incompatible; in fact, interpreting the first by the second, a fair idea of Mylne’s interior can be formed. 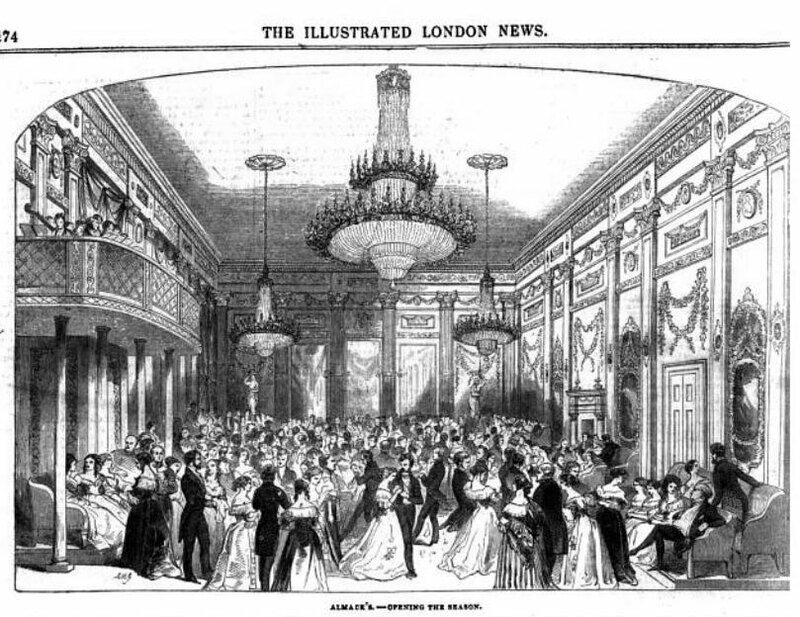 The illustration in Old and New London almost certainly shows the great room after its redecoration by Kuckuck in 1860, but under the heavy Victorian overlay can be seen the elegance depicted, rather vaguely, by Cruikshank. It seems clear, therefore, that the walls were divided into bays by a Composite order, with paired pilasters between the windows or panels of the long side walls, and single columns between the five bays of each end wall. Cruikshank suggests that the unfluted shafts were marbled or of scagliola. Between the capitals the bays were decorated with a frieze of festoons and paterae, and below these were oblong panels with relief subjects. In Cruikshank’s time the windows were furnished with elegant scrolled pelmet-heads of gilt wood supporting swagged draperies, and Rococo looking glasses filled some of the wall panels. He shows the orchestra playing in a balcony with a gilt trellised railing, but in a position it can hardly have occupied, and two-tiered crystal chandeliers hang from the ceiling. In the Old and New London view, these have been replaced by huge lustres of cut glass, hanging from a flat ceiling with a shallow segmental cove, the general form of which was probably original. According to the Survey of London, Almack’s was destroyed by “enemy action” in WWII. 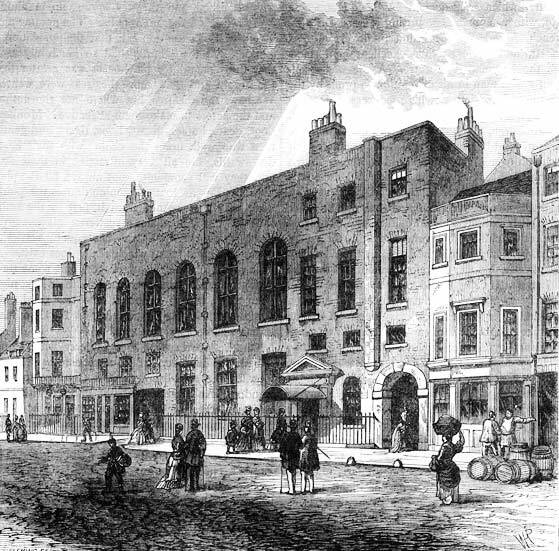 Close by the St. James’s Theatre are “Willis’s Rooms,” a noble suite of assembly-rooms, formerly known as “Almack’s.” The building was erected by Mylne, for one Almack, a tavern-keeper, and was opened in 1765, with a ball, at which the Duke of Cumberland, the hero of Culloden, was present. 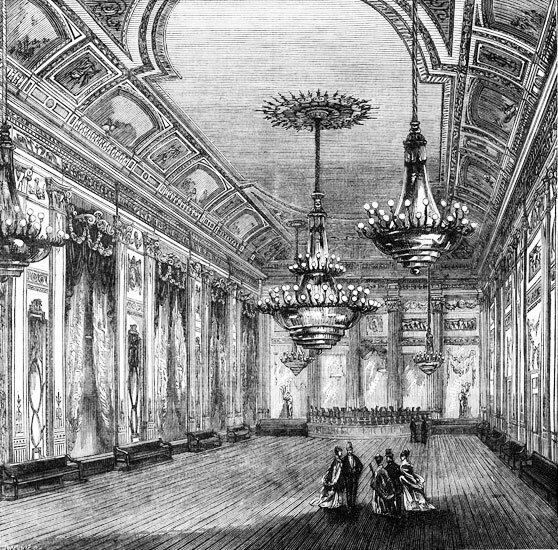 The large ball-room is about one hundred feet in length by forty feet in width, and is chastely decorated with columns and pilasters, classic medallions, and mirrors. The rooms are let for public meetings, dramatic readings, concerts, balls, and occasionally for dinners. 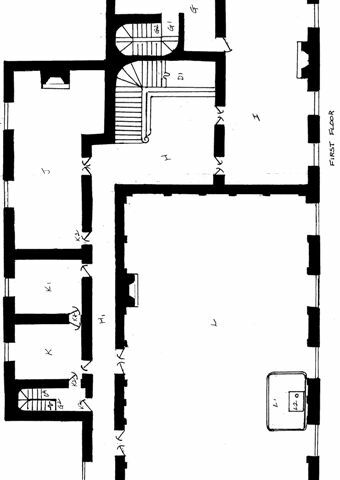 Right and left, at the top of the grand staircase, and on either side of the vestibule of the ball-room, are two spacious apartments, used occasionally for large suppers or dinners. As far back as 1840 it was pretty evident that “Almack’s” was on the decline. Alas, after all this armchair research (procrastination) and emailing questions to Nancy, I feel the descriptions of Almack’s are too scant and confusing and we can’t depend on the accuracy of the images. So I suggest we do what authors and readers do best: just imagine it. Make your own private Almack’s. Does it matter exactly what it looked like? Any building /place with that much pyschological importance would have looked lot of diff ways to the people who went there. @Barbara – And you make up such lovely stuff! @Abigail – So, it’s cool that we really don’t have a clean image of it. Awe and mystery.